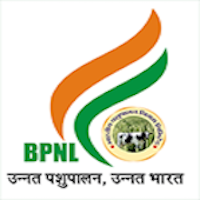 Online Application Details for Bharatiya Pashupalan Nigam Limited BPNL Recruitment of 33 District Sales Manager and 245 Tehsil Sales Incharge is given below. Application form and duly attested documents are to be sent to Director, Bharatiya Pashupalan Nigam Limited, AC4, AC4, Gayatri House, O/p District Council, Sawai Jaisingh Highway, Banipark, Jaipur, Rajasthan – 302016. In envelope super scribed with 'Application for the Post of Post Name'.